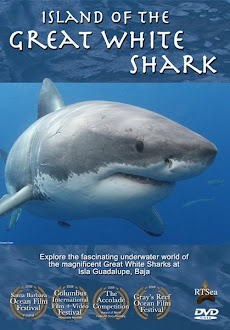 Shark Diver : Shark Diving : Swimming With Sharks: Shark Encounters on the Horizon! 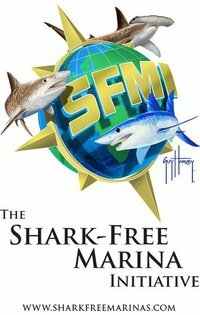 Shark Encounters on the Horizon! What a day! To say that the shark action Friday was 'good,' would be a huge understatement. 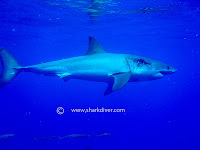 We saw over 10 sharks that have been previously identified, along with at least 3 others that we didn’t know. The action started when our first divers entered the water at 7am and it didn’t stop, even when we stopped diving after running out of daylight. Just before everyone got out of the cages at the end of the day, we had a complete breach right by the stern of our vessel. The sharky cast of characters included some of our favorite sharks that we have known since 2001. Chugey, Thor, Bite Face, Jaques, Squire, Gunther and Johnny along with some newer friends like #89, #130 and #146. 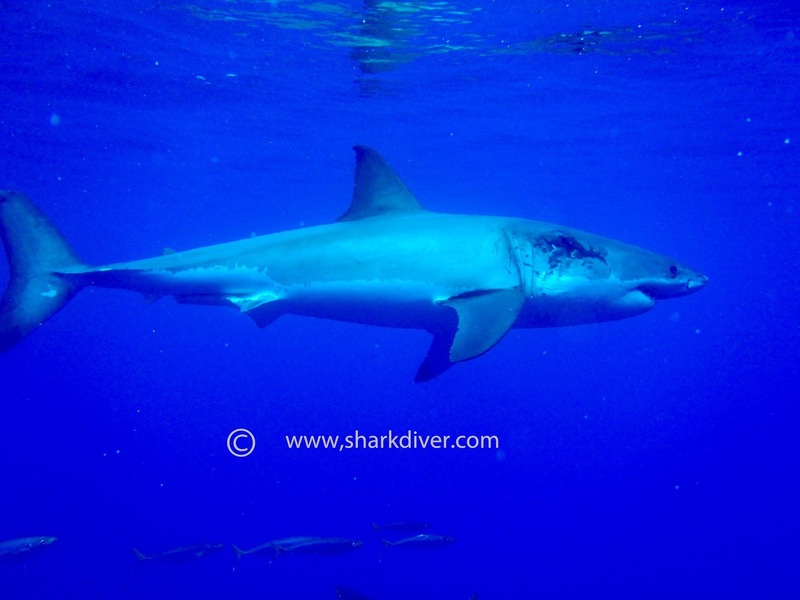 Great Whites: From the Eyes of our Divers!